The master bathroom is one of the most important rooms in a house — second only to the kitchen. In fact, the National Kitchen & Bath Association (NKBA) estimates the value of the bath remodeling market at $35.5 billion, which proves exactly how important this room is. Unfortunately, remodeling a master bathroom can cost upwards of $7,500. So, if you’re planning a bathroom remodel, you’ll want to make sure you get the most return on your investment. And the best way to do that is by making sure you’re up to date with the latest trends. This year, traditional styling is out and contemporary and transitional design is in, according to the 2017 Kitchen & Bath Design Trends report completed by the NKBA. When you’re choosing a bathroom vanity, choose one with simple cabinetry with clean lines. 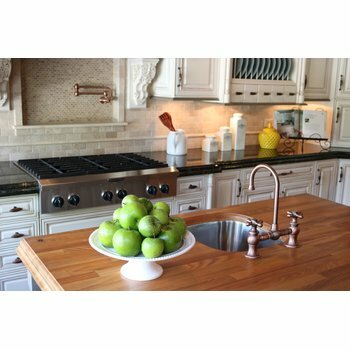 In particular, Shaker-style cabinetry continues to gain in popularity. Floating vanities and freestanding tubs will be popular this year. In parallel with the more modern design trend, floating vanities are increasing in popularity, according to the NKBA. These vanities exude contemporary design by hovering above the ground, providing a clean, airy feel. Although ceramic tile remains the most popular flooring choice in bathrooms, high-quality vinyl is emerging. Known as luxury vinyl tile (LVT), this flooring option has experienced double-digit growth the past few years. It’s easy to maintain, durable, high-quality and — above all — affordable. More than half of NKBA survey-takers said they got rid of a tub in a bathroom within the past year; however, half of the survey-takers added a freestanding tub to a bathroom. Plus, 60 percent plan to add a freestanding tub this year. In short, traditional tubs and whirlpools are out, and freestanding tubs are in. If you’ve been slow to replace your gold fixtures with nickel ones, you may want to hold off a little longer. According to the NKBA, brushed brass and gold faucet colors are emerging. Just as stainless steel is gradually being replaced by black stainless steel in the kitchen, bathroom fixtures may soon experience a transition. The most popular bathroom amenities continue to be those with comfort features, according to the NKBA. For example, comfort-height toilets and vanities are still a must for remodelers, as are shower seats. 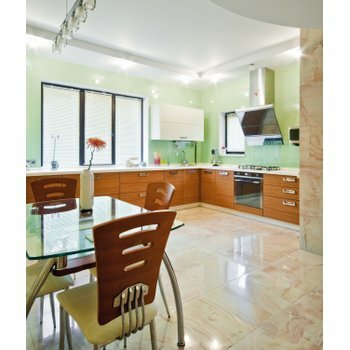 What’s emerging in popularity is radiant floor heating. This comfort feature has been around for centuries in one form or another. Electric floor heating is an affordable, easy-to-install option that sends warmth upward through your bathroom tile, making sure that homeowners are never chilly when they step out of the shower (or freestanding tub). Plus, with floating vanities gaining traction, in-floor heating has the unique opportunity to reach even more floor area. 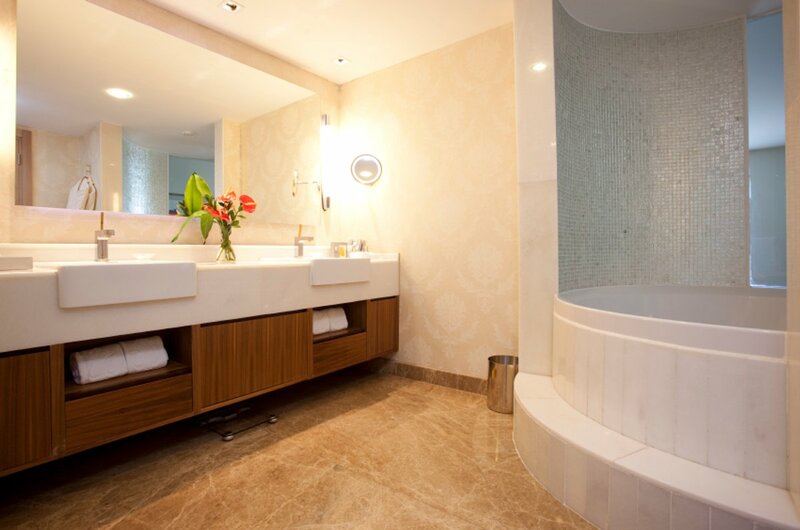 Electric floor heating is a growing comfort feature in bathrooms. Environmentally friendly toilets, showerheads and faucets are now mainstream. By saving water, homeowners can help the planet while also spending less on their water bill. It’s a win-win. Plus, eco-friendly fixtures are very affordable, which explains whttp://www.diynetwork.com/show...hy it didn’t take long for them to go mainstream. We’ve seen the classic hex tile come back into style in bathrooms, but now geometrical tile is going a step further. According to InteriorZine, hexagon-shaped tile in different variations will be popular this year. The tile can include different patterns and colors, which when combined showcase infinite design possibilities. to add luxury to a bathroom. Whether the bathroom is already outfitted with in-floor heating or not, a towel warmer is a great way to add luxury and comfort to a bathroom. They’re available for as little as $149, so it’s an inexpensive way to add style and value to your master bathroom. Matt Muenster, host of DIY Network’s “Bath Crashers” and “Bathtastic!” says that both radiant floor heating and towel warmers are some of the best bathroom remodeling trends. Say goodbye to traditional “over-the-vanity” lighting fixtures. Instead, install a couple of unique sconces on either side of the mirror. Or, if you want your bathroom to look glamorous and high-end, hang an ornate chandelier in the center of the room. Bold lighting offers both practical and decorative benefits, Muenster says. 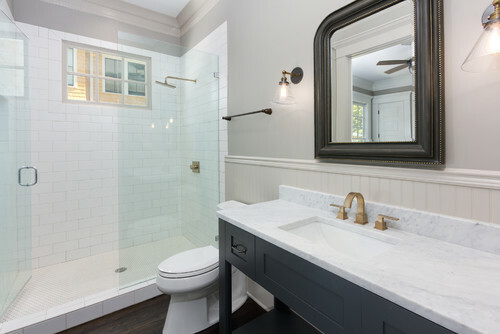 By staying on top of the latest bathroom trends, you can ensure that your master bathroom has what every homeowner is looking for. Then, when you’re ready to sell, your home will have a unique advantage. Or, if you don’t plan to sell your home, you can enjoy your dream bathroom with all the upgrades. Have a trend to add to our list? Let us know by tweeting @WarmlyYours, posting on our Facebook page, or sharing on our Instagram page. Cool article ! Are you seeing any heating of mirrors to reduce condensation for shaving or viewing make up application ? Absolutely! So far this year, we’ve seen a marked increase in customer inquiries concerning both our electric mirror defoggers and our Ember Mirror radiant panels. Both products fight condensation due to steam by heating the mirror’s surface, which keeps it crystal clear in even the steamiest of bathrooms. The mirror defoggers work by attaching to the back of a mirror and the Ember Mirror is a multi-purpose heating element that has a beautiful, mirror-polished surface.